We were voted #1 Seafood Restaurant by Southern Living readers every year from 1996 to 2006, and were ranked among America's Top Fifty restaurants by Restaurants & Institutions. We are the recipient of Wine Spectator's Award of Excellence and we were inducted into Florida Trend’s Restaurant Hall of Fame in 2005. With every passing year Capt. Anderson's works harder at making a visit to our restaurant more enjoyable, and the continuing awards and recognition seem to indicate that the hard work is paying off! The Wine Spectator Award of Excellence recognizes restaurants with interesting wine lists, whose selections match the menu, and that appeal to a wide range of wine lovers. The wine list itself must include vintages and appellations for everything - including wine by the glass. Spelling, correct producer names, and appearance of the list are also included in the judging. 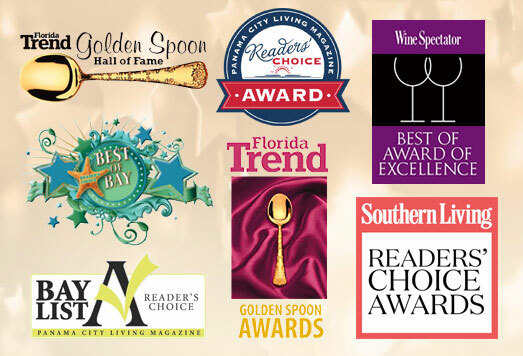 Each year since 1977, Florida Trend magazine has bestowed Golden Spoon awards to Sunshine State restaurants that offer diners the very best in food, service and décor. The Hall of Fame is the highest honor Florida Trend can bestow on a Florida restaurant. Restaurants that have won Golden Spoon Awards year after year are considered unbeatable and put into the Hall of Fame. Each year, Panama City Living Magazine and its readers selects the best-of-the-best among local businesses and eateries. Capt. Anderson's has been fortunate enough to be the recipient of four "Reader's Choice" awards. 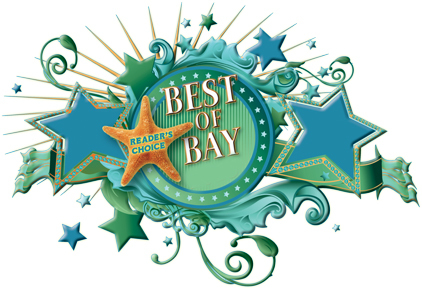 Each year, Panama City News Herald holds its "Best of Bay" competition highlighting the best in Panama City Beach businesses. 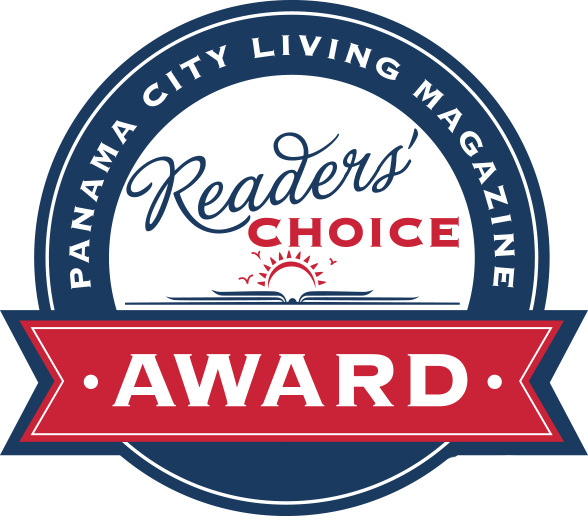 Each year, Panama City Living holds its "Reader's Choice" competition highlighting the best in Panama City Beach businesses.